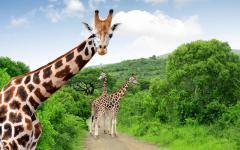 Idyllic yet dappled with adventure, this romantic itinerary combines two exclusive African paradigms. Settle into the Seychelles for six days of beach escapism, in a private villa standing on the white sand of the Indian Ocean. 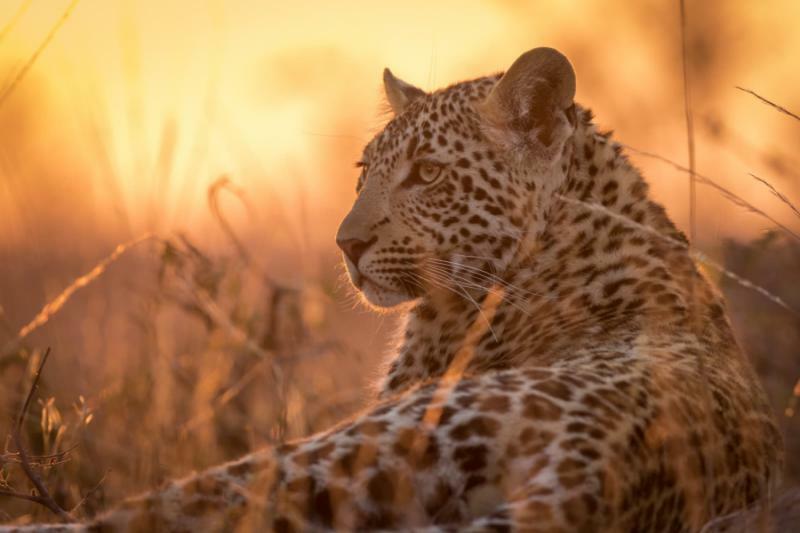 Then hop to South Africa for five days of immersive safari, split across the diverse Sabi Sands and exclusive Mala Mala game reserves. From marine journeys to champagne suppers overlooking hippos, this Seychelles and South Africa tour celebrates nature and new life. Africa's natural beauty comes in many distinctive forms, from the Indian Ocean's tropical promise to the wildlife bounty of the savannah. It's discovered on white sand beaches that cascade beneath the green of mangrove forests. Or on the dusty plains dominated by the prowling of a lion pride. Or in the resonant calls of hippos that echo throughout a moonlit night. Differing impressions build as you escape into this natural landscape, a new life celebrated on a 12-day Seychelles and South Africa tour. It's your own personal show, with exclusive and private activities ensuring there's nobody else interrupting your journey through the continent; just the sea turtles, rhinos, and unusual characters that have always called Africa home. This adventurous romantic vacation is split across two very different destinations. Start on Mahe Island in the Seychelles, where a luxuriant canopy of palms stands above the quiet white beaches. Your villa has direct access to the sand and the first three days provide the serenity and privacy that all romantics demand. It's a chance to be lulled by nature's soft spell and fall into the romance of exotic islands. Then, you explore the Seychelles with three exclusive and diverse half-day activities. Explore a marine safari to a deserted islet, and then sip champagne after snorkeling in Baie Ternay National Park. Get dropped on the near-deserted La Digue and cycle to beaches completely devoid of footprints. Head into the enigmatic forests of Morne Seychellois National Park on a scenic drive that provides spectacular panoramas of the islands. Now it’s time for a luxury Africa safari vacation, reached via an aerial hop to Johannesburg and then Nelspruit. You're whisked into the Sabi Sands, a private expanse of reserves famed for predatory cats and huge numbers of white rhinos. Elephants trumpet their congratulations, hippos grunt in the pools, and so many famous safari images are available from your private verandah. Three days here offer a serene safari introduction, mixing game drives with nighttime drives and walks into the wilderness. All activities are private and customizable, complemented by romantic additions like moonlit dinners in the bush and champagne picnics overlooking the savannah. 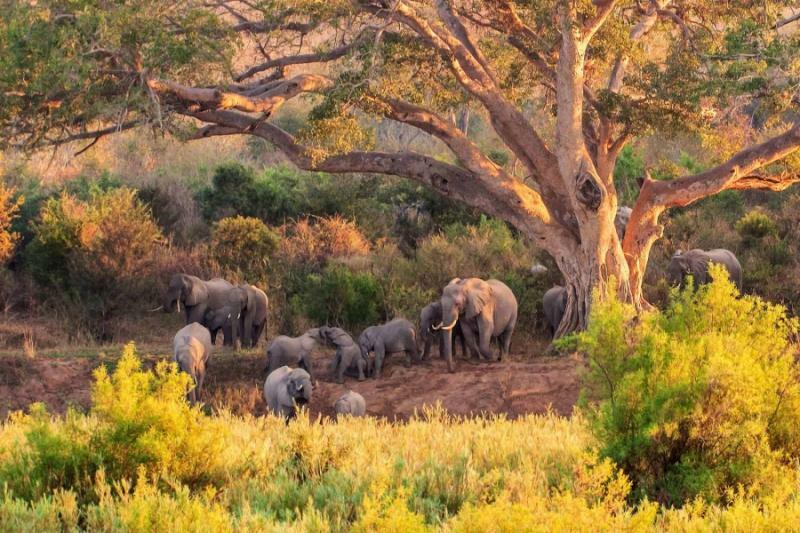 Nearby Mala Mala Game Reserve is one of Africa's most celebrated, a huge expanse of private concession that's reserved for a small handful of guests. It's a safari at its most exclusive, with individualized activities opening up a world of abundant big cat scenes and marauding herds. Both Mala Mala and Sabi Sands share unfenced boundaries with Kruger National Park, bringing phenomenal abundance that complements the wildlife intimacy. 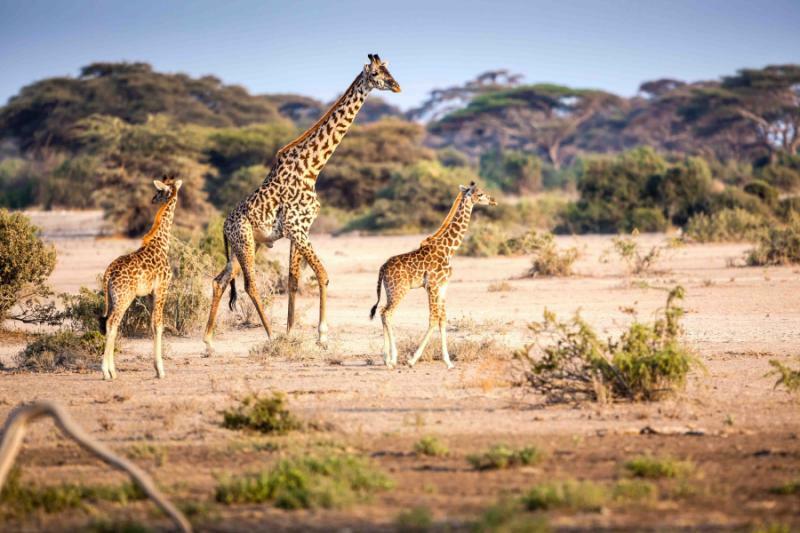 From walking alongside kudu herds to finding spotted cats amongst the trees, there's always a new experience on five days of an African safari. 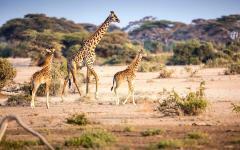 Consider learning more about the best African safari tour companies, and see how they are able to craft an itinerary that suits your particular interests and desires. Land in the Seychelles and there's far more than white sand. While the exotic coastline impresses with its space and vibrant colors, it's often the luxuriant green interior that captures the imagination. Thick mangrove forests rise across rugged cliffs, creating a sense of exoticism and a natural boundary that keeps the beaches private. Settle onto the white sand and the green continues to dominate, trees leaning over the beach and enclosing your private coastal villa. For the next six nights, your romantic atmosphere is based amongst these colors; the tropical opulence of the coast, and the forests that occasionally sing with monkey calls. After the flight, today is about settling into the boutique resort and enjoying these first impressions of Indian Ocean promise. 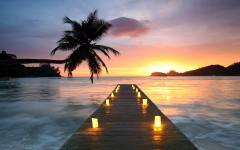 As the romantic begins, you're lost in picturesque serenity, engulfed by the exotic colors and serenity of Mahe Island. There's hardly another set of prints on the beach, barely an interruption to days of slumber, and a personal concierge ensures you don't even need to leave the villa. Encased by the mangroves, your villa has direct access to a private beach and a plunge pool with ocean views. A variety of dining options can be arranged, including private seafood barbecues and champagne sunsets on the sand. It's timeless romantic escapism, a few days of just you two before the adventures begin. Kick off the shoes, remove the watch, float on the languid rhythm and discover the romance of the Seychelles. A sail flutters and you cruise across to Baie Ternay National Park, a series of islets and reefs downwind from your private villa. Stingrays and turtles explore the topaz waters here, regularly swimming through the shallow turquoise waters. It's an ideal place for beginners to snorkel, with warm waters, a sandy bottom and no currents. After the marine safari, you sail through the reefs, dropping anchor amongst the expanses of sand and green. Enjoy a champagne picnic within this personal Indian Ocean paradise, occasionally jumping into the water for a refreshing dip. On some days, you're only interrupted by the pods of dolphins that also frolic around these shores. Return to Mahe and the resort for another romantic night in your private villa. On most Seychelles trails, you're only sharing the track with ox carts and the odd local cyclist. Rugged routes are shaded by tropical canopies, taking you to deserted beaches and a more local side of the islands. Today you're taken by boat to La Digue, a small island that doesn't have a single motorized vehicle. Spend a morning exploring with peddle power, cycling through the exotic flora to tiny villages and hidden beaches. A picnic and map are provided, so spend an hour or spend the whole day exploring La Digue. It's easy to go hours without seeing other people here, although you might find a cow rumbling onto the beach as you go for a swim. A return boat transport to Mahe Island is provided. Mahe whisks you away from the modern world, the beaches quickly providing the serene rhythm demanded by most romantics. Enter into the mangroves and you step further back in time, into a prehistoric expanse of enigmatic creeping branches and thick canopies alive with birdsong. Over 20% of the island is gazetted as Morne Seychellois National Park, and today you explore this ancient untouched realm. A driver takes you on a scenic journey from Victoria to Port Glaud, with a stop for fresh tea and lingering panoramas on an old plantation. Various walking trails are ideal for a just-married hand-in-hand stroll, weaving beneath the trees towards the shouts of monkeys and the fluttering of endemic birds. Like the last two days, this half-day excursion is private and will be customized to your timeframes. The Seychelles and South Africa are becoming an increasingly popular combination for romantic couples, with direct flights providing a quick jump from white beaches to evocatively scorched savannah. 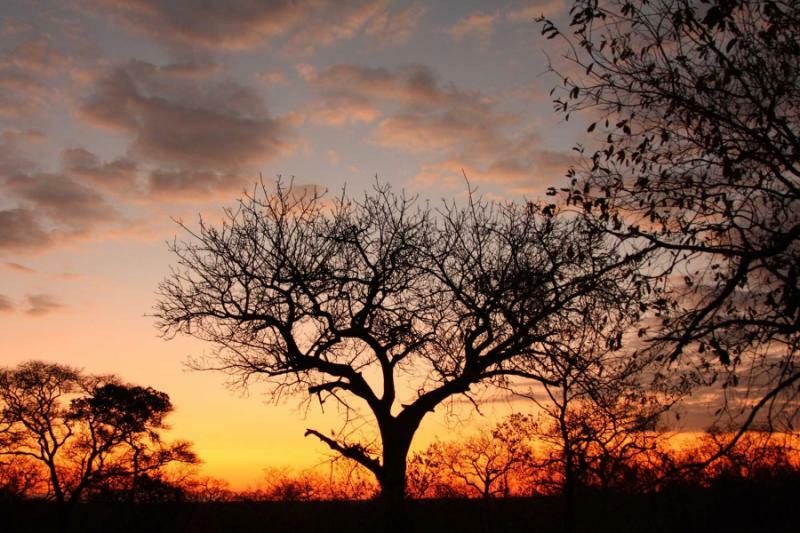 Fly to Johannesburg, then connect to a local flight to Nelspruit, a town on the edge of one of Africa's most famous and oldest national parks – Kruger. 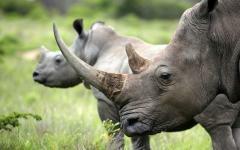 Over half of the world's rhinos live here, along with an astonishing abundance of big cats and large mammals. It's an uninterrupted space, with over 20,000 square kilometers defined by the cyclic patterns of nature. Sharing fenceless borders with the western flank of Kruger, you'll find the Sabi Sands and Mala Mala. 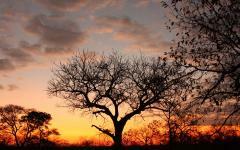 These private game reserves benefit from all the scale and wildlife density of Kruger. However, they restrict access to a small number of guests. So you get Kruger's enormity with an exclusive edge. 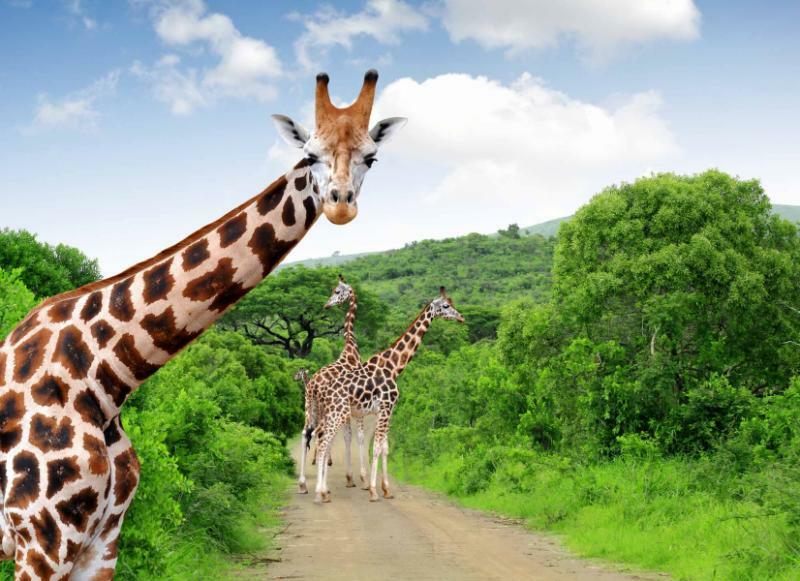 The short road transfer from Nelspruit doubles as your first game drive. 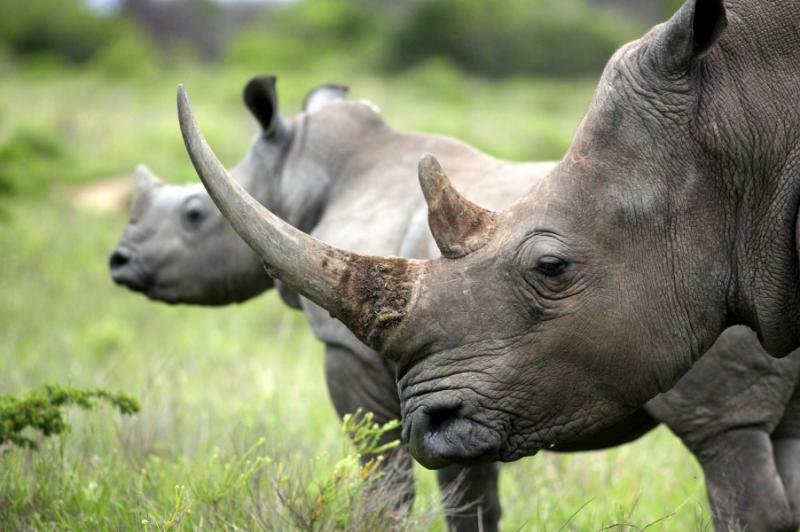 Rhinos are found amongst the scrub bushes, and elephants and giraffe can be seen from afar while the horns of kudu skip through the dusty grasslands. Arrive at the lodge and the safari continues; this time from your own private verandah. Sit back and watch the show unfold, a procession of wildlife coming to drink at the river and nothing to interrupt the view. Safari brings adventure and drama. But it's also about tranquility and privacy, those classic romantic tones. Even from the bed, you'll be able to hear and see different wildlife as it wildly roams past. Enjoy a private dinner before the sun disappears and that procession turns into an array of silhouettes. As dawn breaks, the savannah is alive. 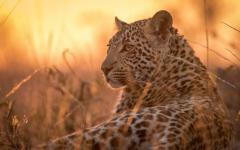 A lone leopard dips into the grass and stalks a herd of panicked springbok; two rhinos trot across a clearing, seemingly lost in a daydream; elephants are on the move in the cool morning air. It's at sunrise when the wildlife world is at its most active, so it's the prime time for your first dedicated game drive. A quick breakfast and coffee are served before you slowly explore the reserve. Turn a corner and a herd of buffalo blocks the trail. Turn another and you wait for a herd of elephant to slowly rumble past. No sightings are ever guaranteed, but at this morning hour, you maximize your chance of finding the most revered of safari images. Return to the lodge in the mid to late morning for an extended breakfast and some hours of tranquility through the hottest part of the day. Take a snooze or read a book, but keep your camera ready as there's often something spectacular wandering past the verandah. With its premium position above the Sands River, your lodge is engulfed with wildlife. Thousands of mammals come to drink at this permanent water source; you can just sit back and enjoy the show. By mid-afternoon, you're out on a second game drive, exploring a new part of Sabi Sands and encountering more fresh safari images. No two game drives are ever the same, so it's impossible to tell if it will be this game drive when you encounter a pride of lionesses out on a hunt. After the sun sets on the savannah, you return to the lodge for a moonlit dinner with stunning views over the silhouettes of the river. The landscape looks very different from ground level. As you wander into the bush, there are fresh impressions of scale. 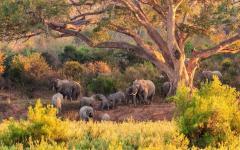 Acacias rise, and you follow the branches to inquisitive vervet monkeys; buffalos transform from strange furry mammals to dominant rumbustious beasts; even the small antelope are imbued with a sense of Africa's size. Local rangers take you into the bush, one of them armed in case you accidentally encounter those mammals who control this wild kingdom. There are few more enchanting places for walking together on a romantic stroll, the indecipherable trail always surrounded by the chants of nature and the curious stares of Africa's mammals. 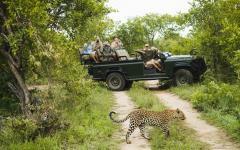 Throughout your time at the Sabi Sands, the safari program is fully customizable. Activities can be swapped, and timings can be changed to maximize your personal safari experience. Another prime activity is a nighttime drive, the guide's spotlight illuminating what appears beneath the cloak of darkness. Stop. Listen. Rustling sounds and unusual cries pierce the silence. Something is close. Yet only when the spotlight turns do you realize just how close. There are impalas alongside the safari truck, and then you look left to find a flurry of rhinos grazing less than ten meters away. Additional dining activities elevate your immersion in nature. Bush dinners can be set up in a forest clearing, and it's easy to arrange a picnic lunch with views over a pool of hippos. Follow the herds and drive past the rhinos to Mala Mala, a huge private reserve that creates some of Africa's most intimate wildlife moments. There are few rules here, so you can drive off the trail and get close to anything you find. Lions are chomping on a zebra carcass, black and white limbs torn away as the pride feasts; in Mala Mala, you can drive across the grass, so you're watching it all from just a couple of meters away. Access to the reserve is restricted to the lodge's small handful of guests, so there are rarely other safari trucks creeping across your photos. 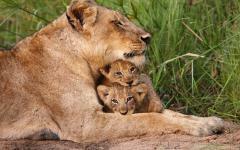 It's an exclusive safari experience, a premium way to conclude any romantic adventure in Africa. Like Sabi Sands, the safari program is flexible. It starts with a champagne picnic, enjoyed on a rock with untamed panoramas of Mala Mala. 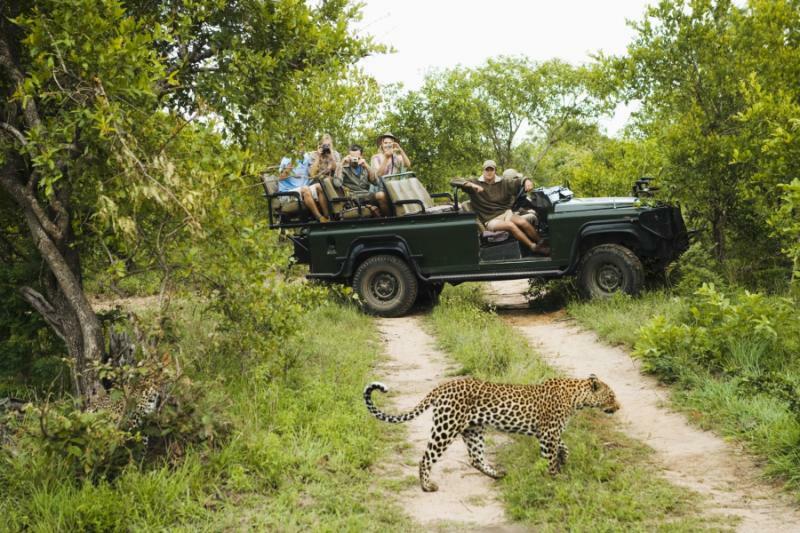 Then it continues with any combination of drives and other safari activities. Spend the whole day journeying through the reserve, or split your time into a series of shorter game drives and some indulgent rest time at the lodge. The safari never stops, not even when the lights have been switched off, and nighttime descends. Lie back and a chorus of calls reverberates through the lodge; lions growling, hippos fighting, birds squawking as they warn antelope of a hunting cheetah. In a way, you have the privacy that romance demands. But you're never absolutely alone on an African safari; sometimes you wake, and there are elephants drinking from your plunge pool. A final day on the safari and a chance to seek out any wildlife you have yet to experience. Perhaps an elusive leopard on the prowl, a 500-strong zebra herd on the move, or the endemic antelopes that hide beneath the trees. Activities are exclusive, so it's just you and your partner in the back of the vehicle, being expertly guided through a landscape that always brings a surprise. Some couples wonder whether they'll get bored after five days of safari. Usually after five days, you're desperate for more, especially when you're at the home of half the world's rhino population (Mala Mala, the Sabi Sands and Kruger National Park create a fenceless ecosystem that's home to these staggering numbers). On the first day of safari, the focus is inevitably on getting a glimpse of the famous mammals. But as the immersion continues, you're charmed by all the interactions between these mammals; the alert ears of an impala herd, male lions growling for dominance, hippos thundering through the landscape. And then there are the youngsters, endearingly watched by their mothers as they provide the next eternal memories from the safari. Just like Sabi Sands, there are some elegant opportunities to continue the safari over dinner or to spend a night in a bed beneath the stars, fully surrounded by the calls of nature. As you cross the savannah, it's impossible to know when to say goodbye. You want to savor the moment and bid farewell to the white rhinos and antelope herds, but whenever you do, there's another one to spot five minutes down the road. Return to Nelspruit by road for a domestic flight to Johannesburg and your onward international departure. The customized package will include hotels, airport transfers and other transportation within Tanzania, guided tours or activities, unique experiences, trip planning, and 24x7 support during your trip.